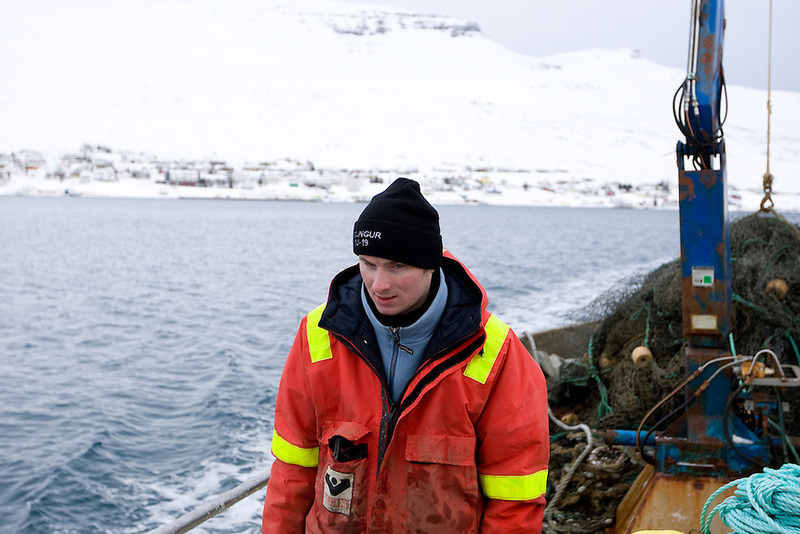 In Faskrudsfjordur, a small fishing village on the east coast of Iceland, live goes on. The ICEAVE debate continues, but the general thoughts are to agree on not knowing enough. If Iceland should enter the EU is though more prominent in the discussion, general thoughts are against it. .The theme song from 'Cheers' imposes it self on me while I walk the main street. The bank and the post office share a space as well as employees. I'm told that you don't really need an ID to make transfers from your account, "it's one of the perks living in the countryside, the clerk should know you." The liquor store is open from five to six most days, on Fridays it is open from four. It's a fishing village, traditional one, with two trawlers a capelin processing plant and rendering..1)When the temperature gets below -10°C and the temperature of the sea is nearly 0°C every working minute seems like an hour. This Polish fisherman, who has lived in Iceland for many years, was setting out traps for a fish farming.